The Plain Township Fire Department first learned about FirstNet after one of their own firefighters inquired about the network and learned about the network’s “always on” connection with priority and preemption for first responders. Shortly thereafter, the Department decided it was time to try out FirstNet for themselves. 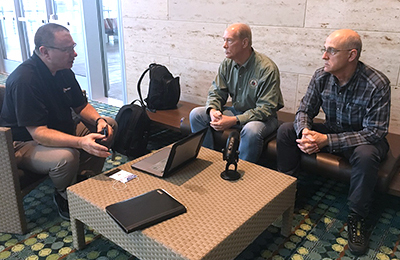 To hear more from Assistance Fire Chief Rupp and Dr. Zeeb, listen to Episode 14 of the Public Safety First Podcast - The Future of Dedicated Public Safety Broadband and Emerging Tech in EMS. For the latest episodes of the Public Safety First Podcast, subscribe via SoundCloud or iTunes.